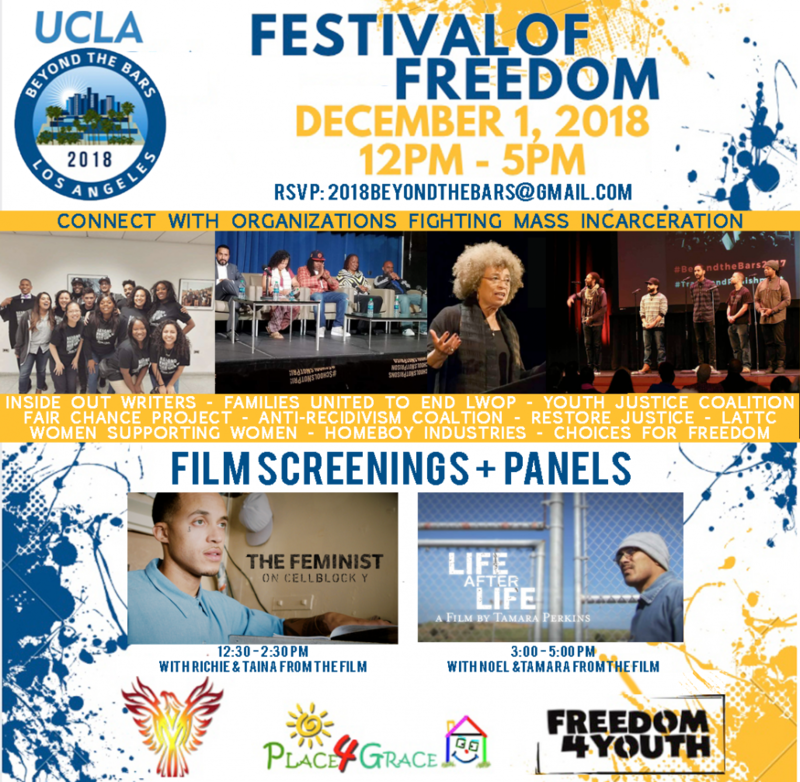 On Saturday Dec 1st, 2018, the Beyond the Bars LA fellows and the Justice Work Group at UCLA will host Beyond the Bars LA: The End of Mass Incarceration, our annual conference, to bring together community organizations, activists, policy makers, researchers, students and those directly impacted by issues of incarceration from across the nation. This conference seeks to join the efforts of various individuals and groups working to end mass incarceration, in order to bring together our knowledge, experience, and expertise. Our goal is not only for us to educate and engage one another, but to form lasting working relationships and inspire each other into action and create genuine social change. This year’s conference theme is The Festival of Freedom, which will focus on discourse and organization that orients us toward the reality of a future without mass incarceration.